Do you want to enjoy cannabis, but hate ending up glued to the couch? In this article, we shine a spotlight on 5 strains that produce uplifting, energetic effects that are great for social settings or times you need to stay productive and focussed. Let’s get one thing clear; the old cliché of couch-locked stoners gobbling down a bag of Cheetos while staring off into space is far from accurate. Sure, cannabis can be very, very relaxing. 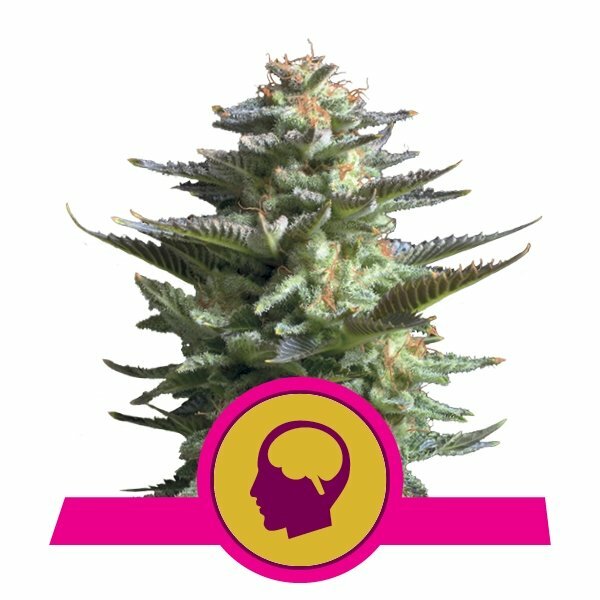 However, the right strains can also produce uplifting effects that users find beneficial for boosting concentration, motivation, and productivity. To help enjoy cannabis without turning into a cliché, here are 5 strains renowned for boosting energy. Haze varieties are always a good choice if you want to stay productive, motivated, and energised. Our Chocolate Haze combines an invigorating, uplifting high with amazing aromas and flavours. While Haze varieties are super popular in Amsterdam and other parts of Europe, many people forget that these strains originate from California, USA. Our Chocolate Haze variety is no different, bred from a cross between a unique Cannalope Haze and OG Chocolate Thai. The end result is a potent strain that’s just as pleasing to grow as it is to light up. With roughly 20% THC, this is a very strong strain that produces an almost immediate boost of energy. The effects of Chocolate Haze are long-lasting, making it a perfect strain for the mid or late afternoon when you need a little something to pull you through the end of the day. Just be careful, thanks to its delicious, rich chocolate aroma, this is one of those strains that’s hard to put down. Chocolate Haze is best grown outdoors in a nice spot with plenty of sun, space, and soil. Reaching heights of around 200cm, this plant can produce very good harvests of up to 500g/plant. However, because it is susceptible to mould and takes a full 9–10 weeks to flower, we generally recommend Chocolate Haze to seasoned growers with enough time and skill to really bring the best out of this strain. We all know someone who is dubious about whether cannabis has energising effects. Well, Green Punch is the perfect strain to put those doubts to rest for good. Whether you love to wake and bake or need a midday boost to see you through the day, Green Punch is perfect. If you need to file an important report before 5 o’clock or give the house a much-needed spring clean, Green Punch can help you achieve your “today list” with pride. It produces a satisfying mental buzz that’s great for when you need a boost of energy and focus. After a few hours, this head buzz starts working its way down to your muscles, leaving you relaxed and grounded. Green Punch has a delicious fruity aroma that combines zesty citrus notes with sweet hints of berries and grapes. A cross between the infamous Green Crack and Purple Punch, this is a slightly sativa-dominant strain that produces beautiful buds with vibrant orange and pink hues, and roughly 18–20% THC. Similar to the first strain on this list, Green Punch performs its best outdoors. This is one of those plants that needs plenty of space, reaching between 180 and 220cm in the right conditions. Indoors, Green Punch still does well, although space limitations will affect its ability to vigorously veg, and will likely result in smaller harvests. 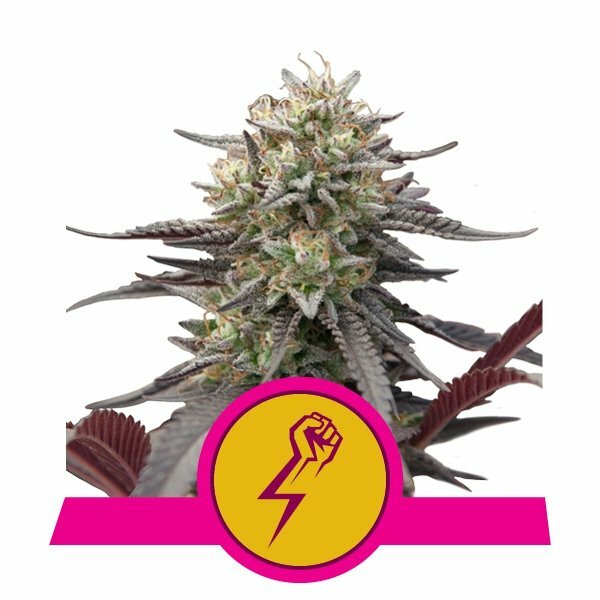 Nonetheless, its extreme resilience to pests, droughts, and poor weather make it a great strain for all kinds of growers, including beginners. Royal AK is our signature twist on the classic AK-47. Bred from a variety of Colombian, Mexican, Thai, and Afghan varieties, Royal AK is a powerhouse strain with great potency and aroma. While sometimes thought to be a knockout strain, our version of this classic produces a nice, balanced high that’s super versatile. Hence, it’s really no wonder it's won countless cannabis cups and accolades. Royal AK is slightly sativa-dominant and boasts THC levels of roughly 19%. Combining cerebral euphoria with light physical relaxation, this is a great strain for when you need to relieve stress in order to stay focussed. If you’ve got a lot on your mind, Royal AK can help you find the clarity you need to set that stress aside, make a plan, and get started. It’s great for enjoying during a busy morning or early afternoon, seeing that its effects will last a good few hours. Royal AK has a really interesting aroma that combines earthy undertones with notes of sweet pine. It makes for a smooth smoke and, thanks to its high resin production, is also great for making hash and other concentrates. Given its potency, aroma, and balanced effects, it’s no wonder AK-47 has become so popular across the globe. Just like it produces balanced effects, Royal AK also has a balanced grow profile. It can be grown both indoors and outdoors, producing great results in both settings. It flowers in roughly 8–9 weeks, with reliable yields ranging from 525–575g/m² indoors and up to 650g/plant outdoors. This is another outstanding Haze variety. A spin on the classic Lemon Haze, this strain produces a very long-lasting cerebral high that can get very psychedelic. 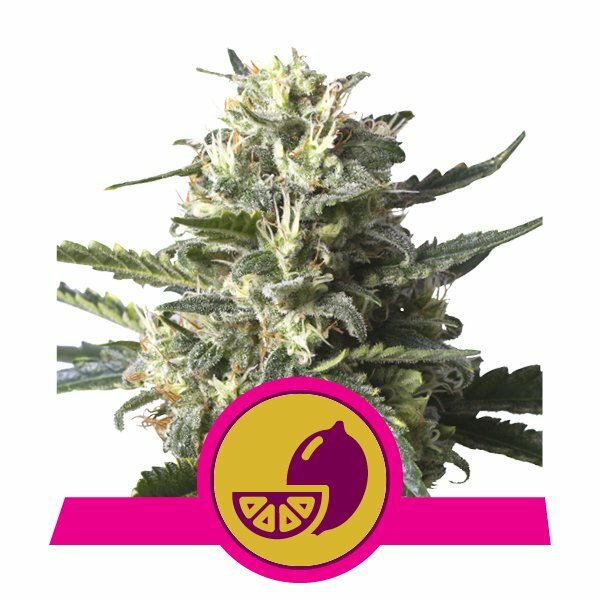 If you plan to use Lemon Shining Silver Haze and want to stay productive and creative, it’s best you enjoy it in small, or even micro doses. If, on the other hand, you’re ready to fully unwind, the psychoactive effects of this strain can take you to other galaxies. A cross between Lemon Skunk and Shining Silver Haze, this strain has a super strong, sweet citrus aroma that’s very typical of Haze varieties. With up to 25% THC, this strain will leave you feeling alert and energetic, even after just a few hits. In higher doses, Lemon Shining Silver Haze tends to get much more psychedelic, producing a strong euphoria that’s great for enjoying together with a close group of friends. Alternatively, if you plan to use it during the day, make sure to take it easy for a milder cerebral high that won’t send your mind wandering too far. In the grow room, Lemon Shining Silver Haze’s sativa genetics really shine through. These plants tend to grow large, producing average harvests of around 500g/plant. However, in the right outdoor conditions, this strain is reported to produce up to 1000g/plant. Indoors, the plants are noticeably smaller, yet still produce around 425–475g/m². This strain needs little introduction. Sour Diesel is a hybrid that has taken the world by storm. From the newest dispensaries in North America to the oldest coffeeshops in Amsterdam, this strain is treasured all around the globe. Sour Diesel is a unique blend of Original Diesel, Northern Light, Shiva, and Hawaiian genetics. The result is a super reliable hybrid with very balanced effects. While most of the strains on this list produce cerebral effects, this strain is notably more physical. Instead of the uplifting mental euphoria you’d get from a Haze, for example, Sour Diesel will leave you feeling mentally clear and physically relaxed for a solid few hours. 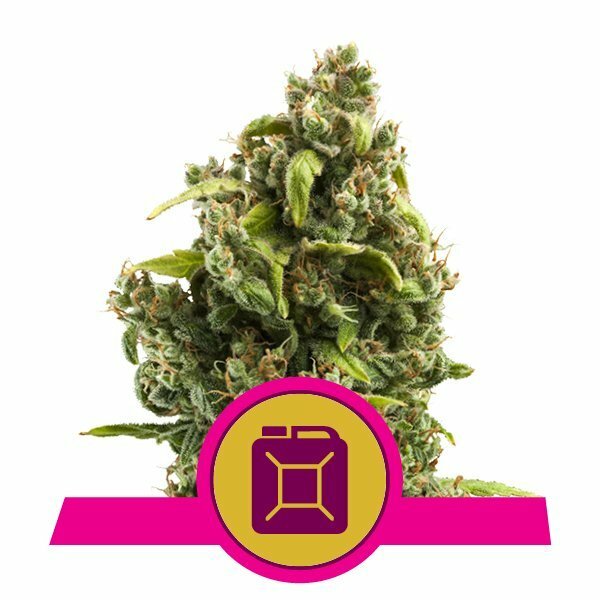 This strain, like other Diesel varieties, has a very unique aroma that combines herbaceous, slightly floral notes with sour, almost chemical-like undertones. Like most hybrids, Sour Diesel can perform well in indoor grow rooms as well as outdoor gardens. Its yield potential rests around 500g/m² indoors and up to 600g/plant outdoors. And while Sour Diesel can take up to 11 weeks to finish flowering, the reward is very much worth the wait.